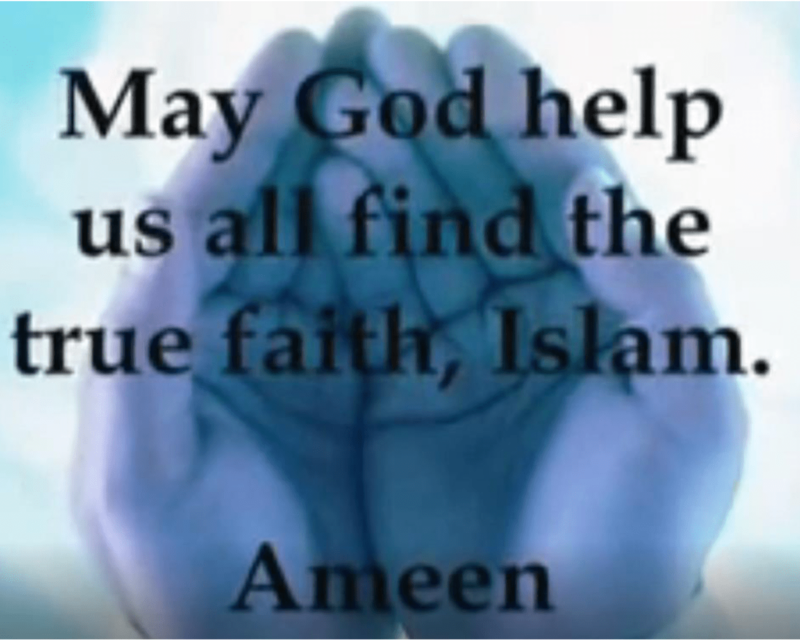 A New Jersey mom included this still from an “Intro to Islam” video in her federal complaint against the School District of the Chathams. NEWARK, N.J. (CN) – A New Jersey middle school that caught flak last year for requiring students to watch videos on Islam was hit Tuesday with a federal complaint. Represented by the Thomas More Law Center, parent Libby Hilsenrath says a teacher assigned her 12-year-old’s seventh-grade class at Chatham Middle School to watch two videos at home with proselytizing messages. The first video, “Intro to Islam,” is set to a musical version of a poem that describes “Christians and Jews as ‘infidels’ and prais[es] Muhammad in gruesome detail for slaughtering them,” according to the complaint. “Muhammad (Peace be upon him) is the last & final Messenger of God,” one such unqualified message in the video states. In addition to presenting the religious teachings of Islam as facts, Hilsenrath says the video includes a link where students can download “Qaseedah Burdah,” the song with references to killing infidels. “Due to the fact that these doctrinal messages calling for conversion to Islam were included in video format with vivid images and text, they possess greater communicative impact and are more likely to be accepted by the students viewing them than information that is spoken in a classroom or even written in a book,” the complaint states. Richard Thompson, president and chief counsel of the law center, issued a statement as well. “After watching this video, I can’t imagine any reasonable person saying this is not Islamic indoctrination,” he said. Likewise the religious beliefs of Christianity are not covered in the unit on Latin America, a region that is 88 percent Christian, and Eastern religions are not covered in the unit on Southeast Asia, according to the complaint. “Defendants assailed the First Amendment … by forcing children to endure the promotion of Islam in their public schools, including an explicit and direct call to the children for conversion to the religion of Islam,” the complaint states. Hilsenrath says she and another parent emailed their concerns to school officials in early 2017. Fox News invited them to appear on Tucker Carlson’s show that February. The pair joined many other parents at a packed March 2017 open meeting of the Chatham school board. School officials defended the curriculum at the meeting, saying it met the state requirements and that it was untrue that Islam was the only religion taught to seventh graders. But Hilsenrath says the school’s conduct betrays hostility toward Christians. When confronted about the curriculum in January 2017, according to the complaint, Chatham’s social studies department chair sent an email where he linked to what he called a “priceless” clip from TV’s “The West Wing.” In the scene, the president character mocks a fundamentalist Christian about various tenets of the Old Testament, such as its endorsement of slavery. Kate Oliveri, an attorney at the Thomas More center, said the email would not be released at this time. After her television appearance on the Fox News Channel, Hilsenrath claimed she was attacked in her community but swore to “fight against the Islamic indoctrination now taking place in Chatham,” according to a statement posted on the Thomas More Law Center website. In addition to Oliveri, Hilsenrath is represented by solo-practice attorney Michael Hrycak of Westfield, New Jersey. The superintendent for the School District of the Chathams has not responded to a phone call and email seeking comment.